Flo Lewis, Chair of LGBT* in UKIP, writes for PinkNews after a petition called for her group to be banned from this month’s Pride in London march. Since 1971 London has been graced by Pride marches. When it was founded the date was set to commemorate the Stonewall riots. Initially it was almost entirely comprised of gay men, then over the years the numbers rose. And with the numbers rising the number of groups and organisations involved grew larger. Today it is a massive, glorious expression of confidence and inclusive joy. We are here, we are having fun, and you’d better believe it. Everybody is welcome and everybody can take part. Well, except those from the organisation of which I am chair. The LGBT* in UKIP group. A rapidly growing group in the broader family of the party. For the first time ever my organisation has been accepted as formal participants in the rally, and I am chuffed to punch about it. It is about time that the broader community realised that we are both serious about our desire to leave the European Union, and our commitment towards equality. Yes, in the past there have been UKIP policies, such as our now overturned opposition to SSM that have riled the broader LGBT community, but there again, the new Equalities Minister voted against the legislation herself, and the Tories have been officially marching for years. There is, I am told a petition being promoted to have us banned from the Parade. Why? Because the tens of thousands at the event will not “feel safe” with our presence. What? Are you sure? What do they think we are going to do, dance them to death? Getting equality before the law for the LGBT* community has been a long hard struggle. Those few hundred men who marched, years before my birth, really did face serious abuse and threats when they set off from Hyde Park. They were pioneers and must be celebrated for their courage. The rally today includes groups from the military and police who until recent years proscribed homosexuals from their ranks, but are today welcomed with open arms. However today, those who are changing minds are those like my colleagues in the UKIP group, taking on those few people who still hold old fashioned views. Sadly I will not be able to join my colleagues in London on that day as I am away, but I am worried by the intense hatred and intolerance being shown on social media towards them. Those that wrote this petition are worried that they don’t feel safe. I hope that they will be there to look after, welcome and protect from abuse those who have a far clearer and more reasonable fear, those from LGBT* in UKIP, who will be braving the contempt of our broader community in order to make a statement that there is nowhere in British public life, and in politics in particular where inequality should be allowed to flourish. 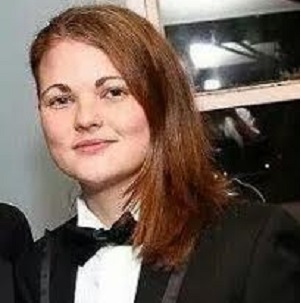 Flo Lewis is Chair of LGBT* in UKIP.